Our Teton Pines townhome is in a golf course community with grocery, liquor/wine, restaurants, a full athletic club and shopping within walking distance. The only Teton Pines townhome with its own private hot tub, our home comfortably sleeps 6 in 3 bedrooms. Pre and post stay cleaning is included as well as a mid-stay cleaning for stays of a week or more. Our south facing home is bright and sunny and the master bedroom offers views of the Grand Teton mountains and Rendezvous Bowl at the Jackson Hole Ski Area. Jackson Hole is located at an elevation of 6200 feet so altitude problems are minimized. Jackson Hole Airport is served by American, United, Delta, Frontier and Northwest airlines. Our townhome is only 4 miles from the world-class skiing at Jackson Hole Mountain Resort, 5 miles from Grand Teton National Park and an hours drive to Yellowstone National Park. The nearby National Elk Refuge is home to the largest elk herd in North America. The nearby Snake River offers superb fly and float fishing as well as rafting and kayaking. 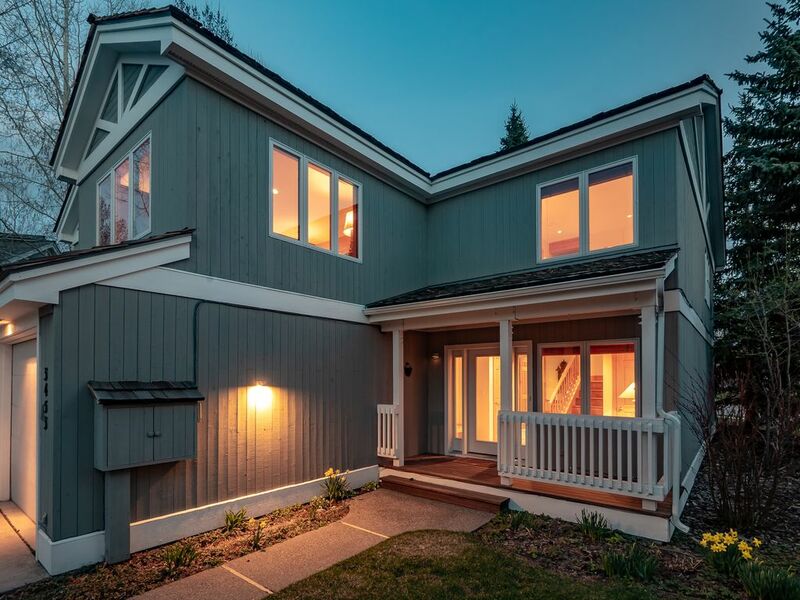 Keywords: Teton Pines Townhouse, garage, private outdoor hot tub, golf, fitness club, fireplace. We are a happily married couple with four daughters in their early twenties. We love the outdoors and staying active. That's why Jackson Wyoming is a perfect place for our vacation home. Here we enjoy nature along with skiing, hiking, bicycling, photography and stand-up paddling. While we spend as much time as possible in Jackson Hole, we are pleased to rent our second home to guests when we can't be here. We love our beautiful town home and hope to share it with you sometime soon. We chose Jackson Hole primarily due to its ease of access via Jackson Hole Airport. Located only 20 minutes from our home, the airport is served by American, Delta, United, Frontier and Northwest airlines. Close to two national parks and the National Elk Refuge (home to the largest elk herd in the U.S.), the wilderness and wildlife experience is unparalleled. In fact, 97% of Teton County is forever protected from development. The hiking, golf, fishing, hunting,rafting,bicycling and sightseeing are world-class in Jackson Hole. Jackson Hole Mountain Resort is one of finest ski areas in North America with over 4,100 feet of vertical drop and annual snowfall over 500'. Base elevation of only 6200 feet (same as Boulder, Colorado) means our guests are far more comfortable than at higher elevation resorts in Colorado, Utah or New Mexico. Finally, Jackson is an authentic western town, casual and unpretentious, with fine dining, a vibrant arts community, great shopping and extremely friendly locals. A private hot tub, complimentary athletic club, neighborhood coffee shop, grocery store, liquor store and six restaurants in walking distance make our home in Teton Pines a unique place for your vacation. Furnished with antiques and collectables, you will feel truly at home. Private outdoor Hot Tub on lower floor deck outside bedrooms. Cleaned and maintained weekly. Private lawn and creek. Located next to Teton Pines Golf and Tennis Club and Restaurant. Walking distance to Aspens Market, Wine Shop, Elevated Grounds Coffee Shop, Sudachi Sushi, Stiegler's Restaurant, Teton Sports Club (athletic club privileges included with rental), Wells Fargo Bank and ATM. Located on Teton Pathway Hike and Bike Trail. Complimentary winter shuttle to Jackson Hole Mountain Resort. Six miles to Grand Teton National Park. Seven miles to Town of Jackson. Fifty scenic miles to Yellowstone National Park. Twenty minutes to Jackson Hole Airport. Nice staying in this house. Warm home feelings! Good location and maintained very well. Everything met our expectations. The condominium was very neat and clean. We had a wonderful time. This condominium is in great condition and well stocked. The location is perfect- a short ride on the blue line to get to the ski mountain. There was a well maintained path through the snow to get to the bus stop in front of the Wells Fargo. Also a pretty short drive into Jackson for dinners or shopping. We loved having the hot tub available for after skiing. Better than we hoped for! Our experience was fantastic! The porperty was in great shape and the welcome experience was the best we have had at a property. I'd like to know how you trained the Moose to stop in every so often to say hello. Enjoyed the jacuzzi one evening with a large moose laying below the cedar tree only 30 feet away. The photos don't do the house justice. Everything was in excellent condition, the space is great, well stocked and truly a wonderful home to come back to after a day of skiing. The house is very conveniently located halfway between the mountain and the town of Jackson. The little grocery store in the complex makes it even easier to grab last minute items you may have forgotten. The management company does a wonderful job of upkeep and making sure you have what you need. We are a family of 5 with 3 grown children and everyone had plenty of room to gather and still have privacy when needed. Love this house! Thank you so much for being a guest in our home. We looked at many locations in Jackson Hole and found Teton Pines to be the best in terms of proximity to town, the ski area and the National Parks. Thanks for taking the time to review. This is a nice 3 bedroom condo, close to both Jackson and the ski resort. Very nice XC skiing across the street. A quiet location, but an easy walk to a grocery store, bank, bus to ski resort, etc. Hard to beat. My husband and I have been coming to Jackson Hole and Grand Teton National Park every year for many years. We love to stay at this special townhome in Teton Pines. The location is great and it accommodates our family perfectly. We feel like it is our home away from home. Jackson Hole ski resort, markets, restaurants, golf, great hiking, and more are close by. We always look forward to our time in this lovely home and have so many wonderful memories! Thank you so much for taking the time to give us a review. Much appreciated. Complimentary membership to the Teton Sports Club for our guests. START bus to Jackson Hole Mountain Resort and Town of Jackson stops every 20 minutes. Private outdoor hot-tub at our home. 5 miles from Grand Teton National Park. 50 miles from Yellowstone National Park. 10 miles from the National Elk Refuge. Rates are subject to change until a reservation is confirmed. eCheck is preferred but MasterCard and Visa are accepted.